2 eps in and completely sold. based on a book, this compelling bit of intrigue is produced and starred by the guy who played loki in the avengers and that weird american guy who played stuart littles dad. the story begins with me trying to figure out where i'd seen this guy before (loki) because it couldn't be michael fassbender. 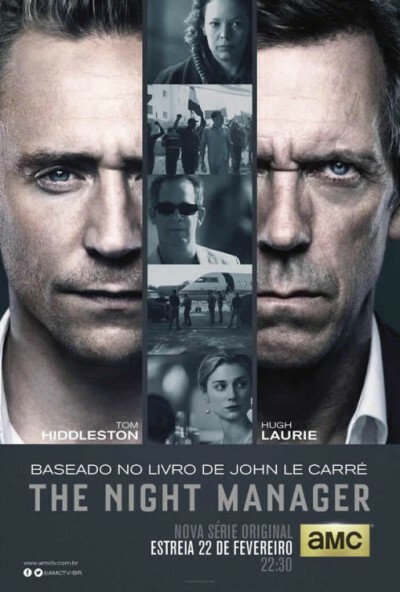 once that was settled, he plays the night manager of a hotel in cairo during egypts arab spring. a guest gives him something she really shouldn't have that sets off a shitstorm. can't say too much but the series is not confined to cairo, it gets around to some amazing locations. Yep, we ripped through this. Been enjoying Hugh Laurie in Veep for the past season or two. Veep is all round just good TV.